If you are browsing through any old church cookbook, you’ll probably see a recipe for Shoofly Pie. It’s a Pennsylvania Dutch dessert recipe from the 1800s. Typically, it’s made with molasses, but this recipe I found uses brown sugar instead. It was my first experience with Shoofly Pie, but it won’t be my last! 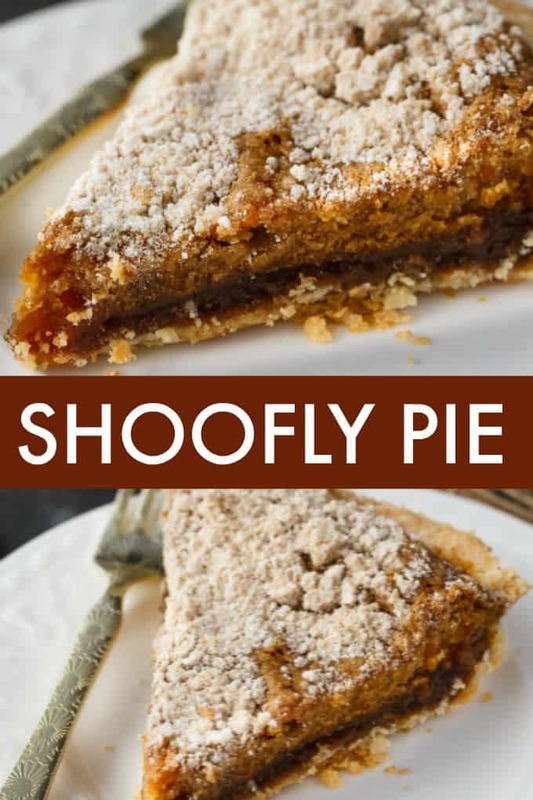 I remember reading my Nancy Drew books when I was a kid and the author referencing Shoofly Pie. Nancy was investigating a mystery in the Pennsylvania Dutch region and someone there had set a Shoofly Pie on their window ledge to cool. I thought it would be a lot sweeter than it actually was! I was thinking it was so sweet you’d have to “shoo” the flies away from it (haha). It pairs deliciously with a mug of hot coffee or a scoop of vanilla ice cream. If you love old fashioned desserts, give this one a try. I’d love to hear about the other variations of Shoofly Pie. How do you make yours? You might also like this Sweet Potato Pie, Strawberry Cream Pie or Impossible Pie. A popular Pennsylvania Dutch pie recipe from the 1800s. Stir together flour, brown sugar and shortening to make crumbs. 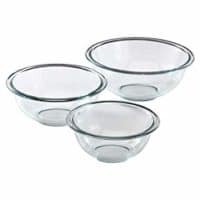 Set aside 1/2 cup. In another bowl, stir together egg and table syrup. 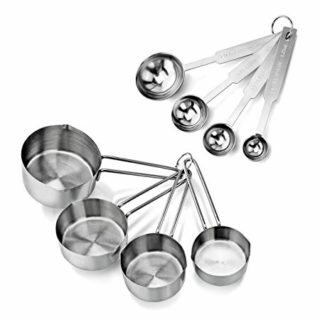 Dissolve baking soda in hot water and then add to syrup mixture and stir. Add remaining crumbs to mixture and stir. Pour into pie shell. Sprinkle reserved crumbs on top. 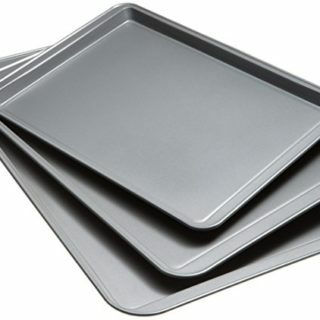 Bake for 40 minutes. Let cool before serving. I love old vintage recipes! I can’t wait to try Shoo Fly Pie. I have seen it so many times in my vintage cook book collection but have never made it. This looks perfect for Easter dessert! 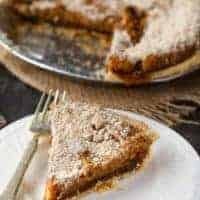 I made the Shoofly pie with Prickly Pear Cactus Syrup from Ariz, which was a gift, OMG this pie was amazing, dont know if was the syrup but I use to think Chess Pie was my fave, this is just awesome! Thanks Stacie for sharing this receipe. I first tasted shoo-fly pie on a vacation through Amish country in Pennsylvania. It was so good I was hooked. I had to laugh when I was reading about your Shoofly Pie! I also always thought that you had to shoo away the flies because of the sweetness!! This looks like a great pie, and I can’t wait to try it! Thank you so much for sharing at Celebrate It! I’ve never heard of shoofly pie but I wouldn’t shoo it off my plate, lol. Looks yummy! Thank you for sharing your recipe at Snickerdoodle. 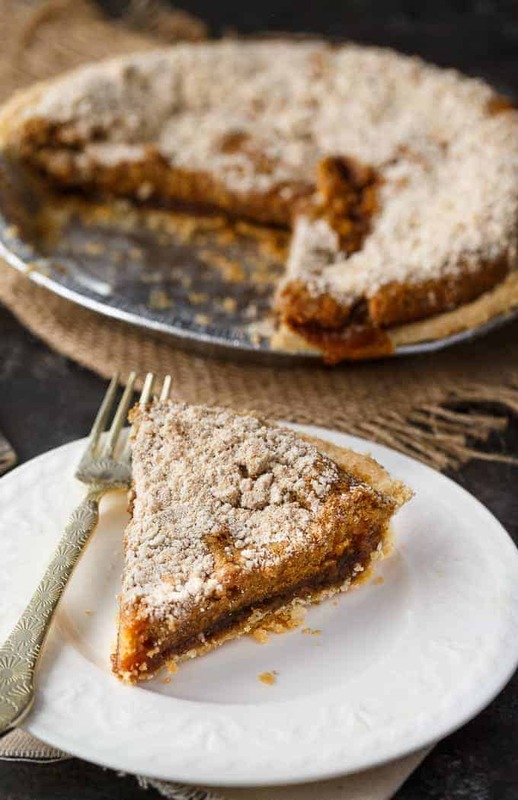 I am featuring your Shoofly Pie recipe at the party this week. Thought table syrup was corn syrup. That is what people had on their table a long time ago.